Govt Emplyees Can Get Their Monthly Salary Slip From PIFRA Online. Since Govt Employees Had To Travel Their Account Office For Their Salary Slip But Now They Can Get Their Salary Slip Online In Their Email Inbox. Govt Job Holder Can Get Their Pay Slip In email Id From Pifra. 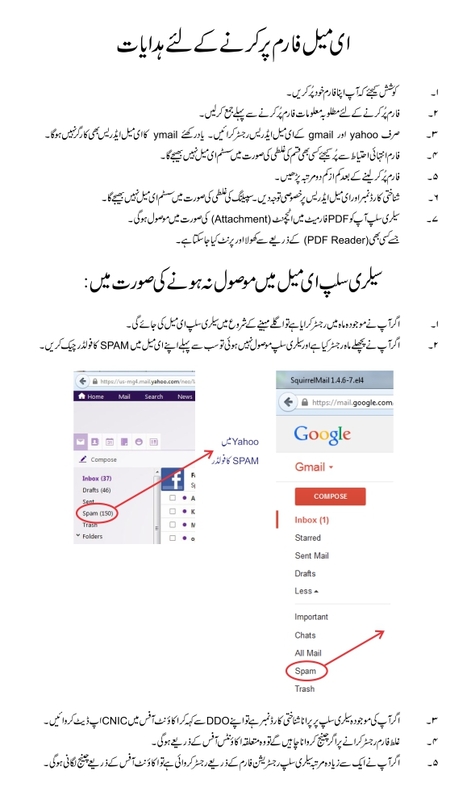 Pakistan Finance department have lauched a new service of their govt employees that they can get their payroll salary slips online on their email address as well they should not go to accounts office to get their pay slip. Sometimes you are very tired and not to go account office to get your monthly pay slip but now you can get your monthly pay slip in your email box. Download monthly payslip on your email address that you will provide on pifra official website but first you have to enter your complete data on https://m.pifra.gov.pk/salaryslip_emp to get your payroll slip. This service is named as Pifra online pay slip for all govt employees Male and female both can get their pifra payroll payslip online in their email address inbox. This service is available in all the provinces of the Pakistan and for all the staff ie teachers, clerks, officers, Doctors and all the other permanent governemt employees. Pifra abbreviation is “project Improve Financial Reporting and Auditing”. It shows total meaning of this service. After all the procedure you done on pifra.gov.pk and get sign up on pifra then you are registered on pifra to get the official online pay slip on email. Pifra will send your payslip online on your email box on monthly basis included with you home rent, allowance, medical allowance and other information on your pay slip.